Blogging is a hobby for me. It's something I've dabbled with when I've had time. But over the past year, I've read some really inspirational posts and met other bloggers who have really committed to their blogs and are able to turn their hobby into a job and a lifestyle. Now, I realise that to turn a blog into a profession is going to involve a lot of hard work. And I've decided that 2017 is going to be the year that I roll my sleeves up and see if I've got what it takes to give it a go. I've not started well. The better known bloggers posted their blogging goals last week at the beginning of the year. But I wanted to take the time to really analyse what I need to do and to set myself some challenging, but realistic goals to see if maybe, this time next year, I might be able to turn SeasideBelle into something that might give me an income. Post more consistently. This is going to require some forward planning. I'm going to need an editorial calendar and I'm going to need to plan posts in advance so I can upload posts on regular topics on regular days. I've seen a few linkies that might help with my planning and I've spent some time working out the subjects I'd like to focus on. I'll share my editorial planning process with you later in the month. Redesign the blog. At the moment, I'm not 100% happy with the way Seaside Belle looks. The branding is all over the place - especially with the graphics I use. So I'm going to take the time to write some brand guidelines so I have a consistent look and feel to the website. I'll update you with how I do that sometime in February. Grow my social media following. It's all very well posting more consistently and getting a better looking blog, but to make a real success, I'm going to have to extend this across my social media channels so I can extend my reach. At the moment I've got 667 followers on Twitter and by 31st December 2017 I'd love to get to 1000 followers. On Facebook I have 55 page likes. Facebook is more of a slow grower, so I'm going to be conservative in my goal and aim to get to 150 by the end of the year. On Instagram, I've managed to get 326 followers so I reckon 500 by the end of the year is a pretty realistic expectation. I also want to make more of Pinterest. At the moment I use my personal page for the blog and I'm going to investigate whether it would be worth setting up a separate SeasideBelle branded Pinterest before setting myself a goal for this. SeasideBelle is also on Bloglovin and has 44 followers. If I could get to 150 by the end of the year, I'd be very happy. I also list SeasideBelle on the Tots100 index where I am currently ranked 1648. With a bit of hard work, I reckon I could get into the top 1000 by 31st December. I'll keep you updated with my progress each month. Make an average of £200 per month from SeasideBelle by the end of the year. At the moment, I'm signed up to a couple of Affiliate networks where I get a small commission if someone clicks on an affiliate link in my post and buys something, but I've only written a couple of posts that include affiliate links and haven't really had any income from this yet. Over the next few months I'd like to exploit this potential income stream a bit more. However, I'll only ever post an affiliate link to a product I would probably buy myself and I'm keen to stay true to myself so I'll never be overly 'salesy' so you won't be bombarded with posts trying to sell you something, just so I can make money, I'd rather only use affiliate links as a value added extra to content I would write anyway. I also have a couple of ads on the site, but I haven't made anything from them yet either - I'd need a lot of traffic to make them worth while, but as my following grows they might provide a bit of pocket money. If I really want to turn blogging into my job I'm going to need to create a media pack so I can offer things like sponsored posts (don't worry, I'll always make it obvious that I'm being paid to write something) and social media shout outs. I will also have to look at diversifying my income stream and selling products, so I'd like to try my hand at writing an e-book this year - although this will probably be a project for the autumn. One thing I have learnt is that to succeed you need to invest in learning or CPD (continued professional development), so I'm planning to take part in more blogger events and meet-ups. Last year I went to BritMums Live, which I thoroughly enjoyed, and I went to an Exeter Bloggers MeetUp, where I met a few more bloggers and we learnt about 'monetising your blog'. I've also met some local bloggers socially through the Devon Bloggers Facebook group and I think by meeting up with others, some of whom are already blogging professionally, will be really helpful in sharing best practice and keeping the faith that this is something I might actually be able to do! Take advantage of blogger networks to access paid opportunities. I'm a member of Tots100, Britmums and the MumsNet Professional Bloggers network, but I don't really tap into the opportunities available or take advantage of the wealth of knowledge available on their websites. This year I intend to access at least 3 paid opportunities through these networks and take part in 1 or 2 training sessions, webinars or events that they run. 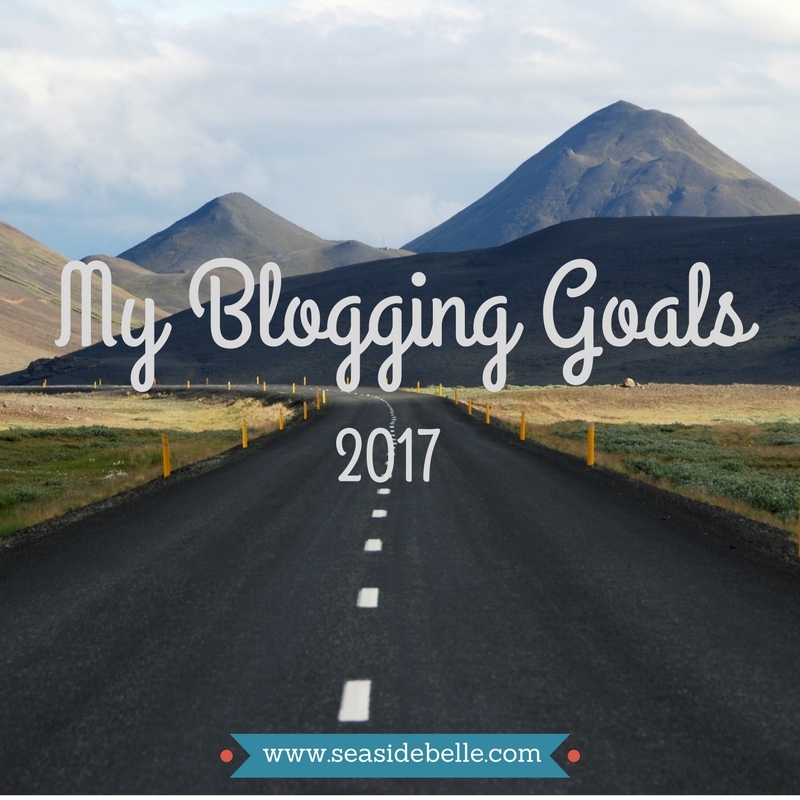 So that's one very ambitious blogging goal for 2017 and six pretty measurable ways I can work towards achieving it. I'll keep you posted about how I get on! Excellent! I'll be watching to see how you fare. My blog was very much neglected last year and my post views dropped accordingly, but I'm hoping to resurrect things a little this year. I've a couple of ads on my blog, but I'm unsure about sponsorship or affiliate links etc until I actually have a reasonable following, and to be honest I blog for my personal satisfaction rather than with an audience in mind (breaking the first rule of monetising your blog there!). I hope to build up the reach of my blog a bit, but I don't think I'll be making any money from it this year - though I do fancy having a go at writing an e-book at some point, just to see how it works. Maybe we can compare notes later in the year.